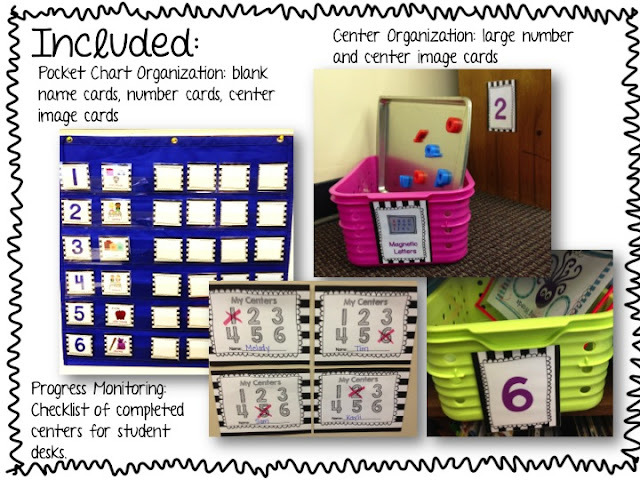 Here is an overview of what is included in this Center Rotation Kit! You can see in the picture below that I have a pocket chart with numbered centers and little picture cards saying what the students do at each center. The white cards next to it are filled in with the students' names. It tells them where they need to be during center time. I also label the baskets to match the assigned centers so the students know where to get there materials at. 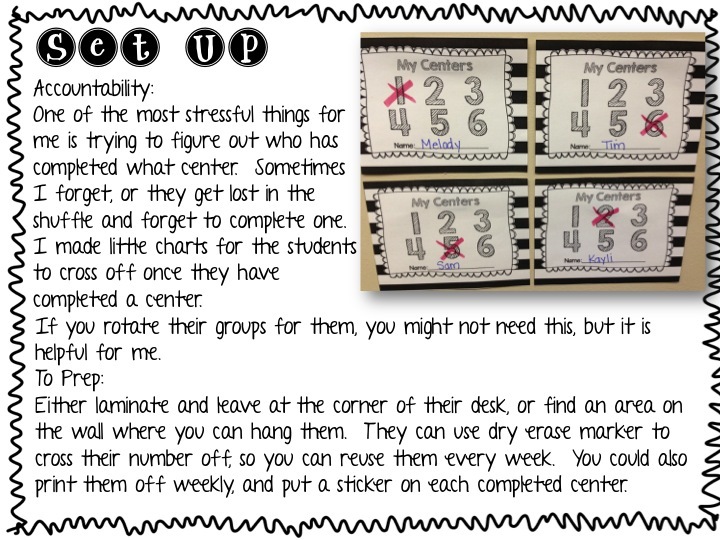 I created little "accountability" sheets for the students to cross off the center they completed for the day. 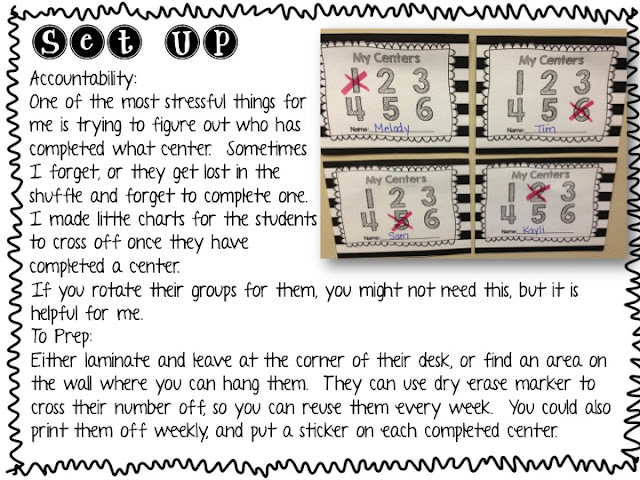 This is helpful for me to scan their accountability sheets to know who is slacking or who is almost done with all of the centers. 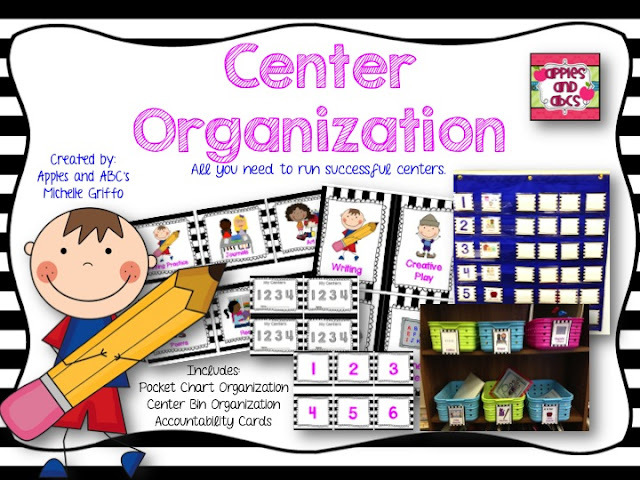 The main reason for this is to help me see who needs to do what center when planning out my small groups. 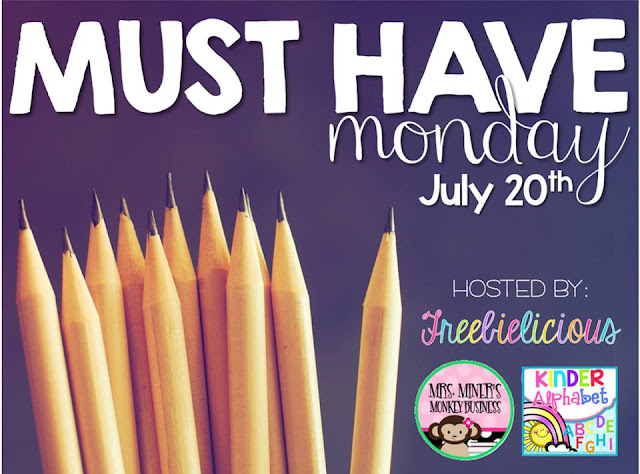 Head over to Freebielicious to see more "must haves" for the beginning of the year! In what grade do you use this? 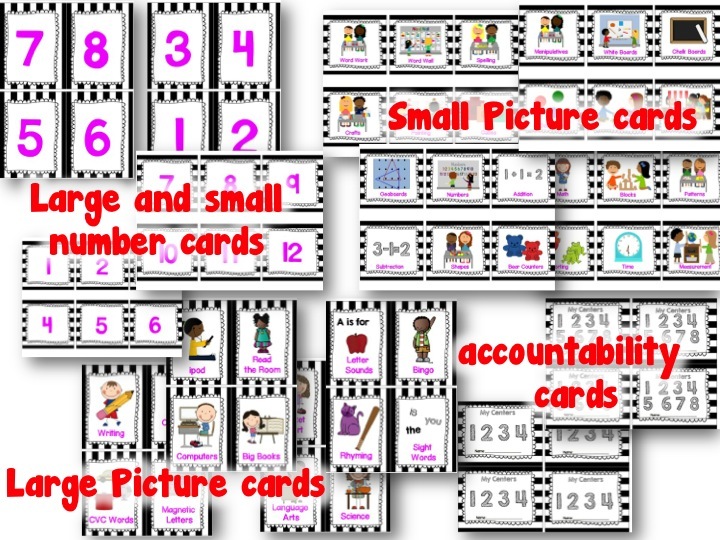 I used this in kindergarten AND 4th grade! 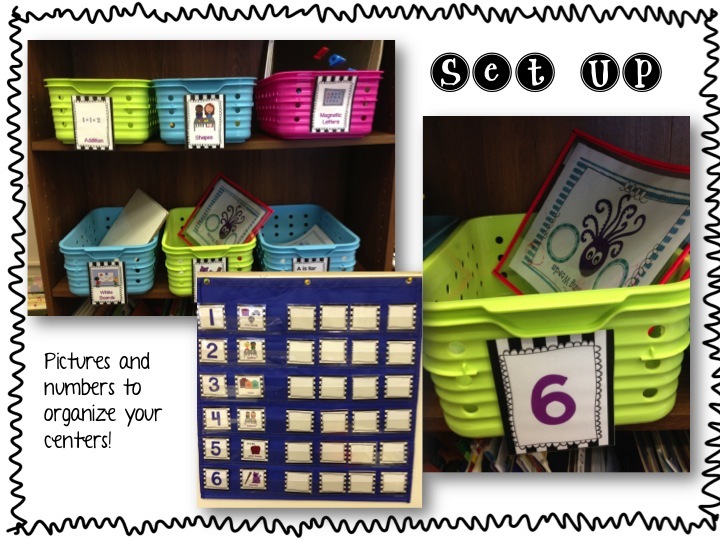 I love how organized your centers are!! I love seeing (and get jealous of) all of the wonderful organization I see in blogland. Love the ideas! !